Intel Capital recently announced its new partnership with HBCUvc, a nonprofit that trains black and Latinx students attending historically black colleges and universities (HBCUs) and Hispanic-serving institutions (HSIs) for a career in venture capital. Intel Capital has been leading the corporate VC industry for diversity and inclusion through investments and their talent pipeline and felt this was the perfect synergy. While sitting with one of their interns, Ime Essien, they were introduced to HBCU.vc, a program that offers students at HBCUs and HSIs venture capital skills training, mentorship, and the chance to build professional relationships with seasoned investors and entrepreneurs. Its Venture Capital Clinic allows the student fellows to put what they’ve learned into practice by fueling high-growth entrepreneurship on campus provided through real-world investing experience. The learning model is unique and the first of its kind. Intel Capital was captivated enough by the concept and Essien’s passion that they asked for an introduction to the program’s CEO, Hadiyah Mujhid and Managing Director Jorge Torres. Once connected, they knew they shared the same vision and goals. Both organizations want to expose undergraduates to the fundamentals of venture capital and entrepreneurship. By partnering, they’re able to educate underserved communities about VC and to build the next generation of entrepreneurs. “In 2017, we made a $4.5 million investment in six HBCUs to encourage students to remain in STEM. Today, as part of our continued commitment to support and recruit key talent, Intel Capital and Intel’s Global Diversity and Inclusion team are partnering with HCBU.vc to ensure Intel continues to drive diversity and inclusion in the tech industry forward,” said Dawn Jones, Intel’s director of Policy and Global Partnerships for Global Diversity and Inclusion. 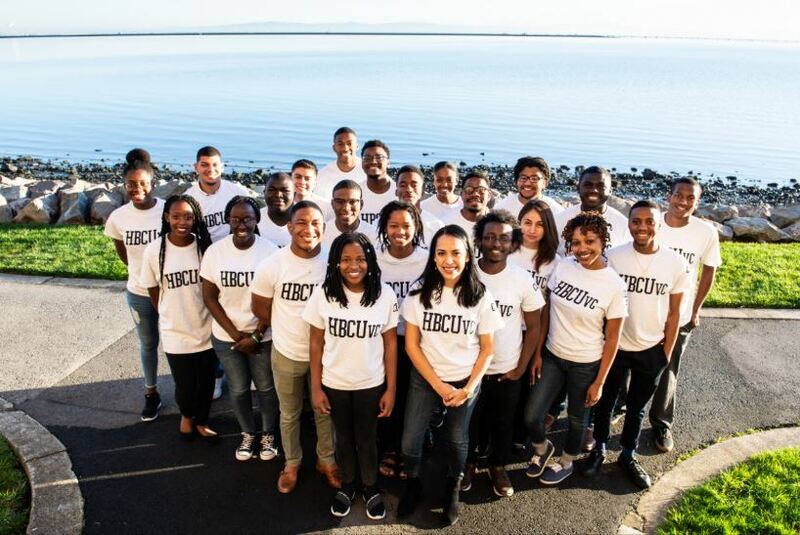 HBCUvc is gearing up to kick off their two-day Spring Summit and welcome HBCUvc’s 2019 class, which consists of 22 student fellows from all across the country. They’ll have a chance to meet and network with successful entrepreneurs and investors of similar backgrounds.